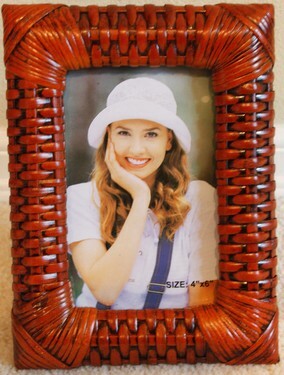 Beautiful photo frame is made by hand woven rattan. Each frame can be displayed as horizontal or portrait orientation. Photo size: 4" x 6". Frames size: 6" x 8". Always best deal to but as a set. So check the set: FRR-SET05.